IRIS will host a webinar, "R/V Langseth: Facilities" on Wednesday, October 29 at 1 p.m. (eastern), providing an opportunity for students, early career scientists and new users to learn more about the R/V Langseth and her capabilities, both as a seismic research vessel and a general purpose research vessel. Those who intend to participate in the webinar live must register at: https://attendee.gotowebinar.com/register/5709534447096702977. 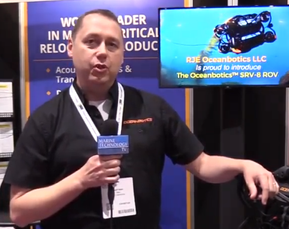 The webinar will be presented by Sean Higgins, Director - Office of Marine Operations, Lamont-Doherty Earth Observatory. The R/V Marcus G. Langseth is operated by Columbia University on behalf of the National Science Foundation (NSF). The Office of Marine Operations (OMO) located at the Lamont-Doherty Earth Observatory (L-DEO) manages the Langseth facility. 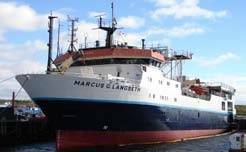 The Langseth is a global class vessel that provides a unique 3D and 2D multi-channel seismic (MCS) imaging and general purpose oceanographic surveying capabilities to the UNOLS academic fleet and the science community. Purchased in 2004 and refit for both seismic and general oceanographic functions from 2005-2007, the Langseth began its operations at the end of 2007 with a series of shakedown and source calibration cruises. The Langseth is one of the first academic ships in the world to have 3-D acoustic imaging capability. This ship is unique in that it serves as the U.S. National Marine Seismic Facility in the U.S. academic fleet. Its role in supporting research funded by the NSF and other U.S. Government Agencies along with others highlights the importance of marine seismology for U.S scientific research. The Langseth operations often very closely with OBSIP that manages the Ocean Bottom Seismometer pool that consists of instruments from SIO, WHOI, and L-DEO).